Reach more golfers with less time and effort. 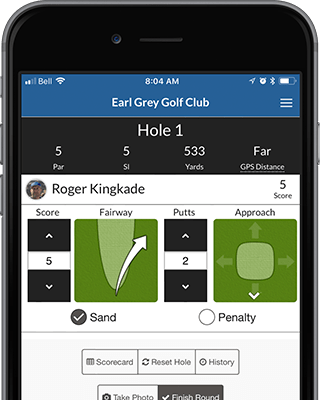 Get the golf app that connects your golf club with your customers' phones. Sell last-minute tee times, promote special events, send whatever instant messages you like to your best customers. Push Notifications are more engaging than email, reaching your customers directly on their phones. 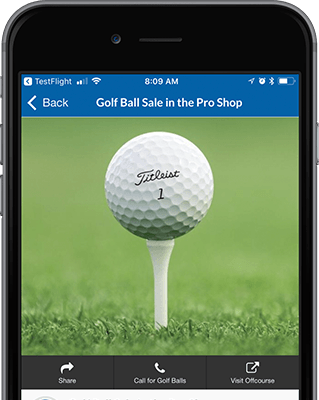 Whatever you're club is promoting - pro shop sales, demo days, tournaments, or social functions - do it with engaging imagery and make buying as easy as tapping a button. 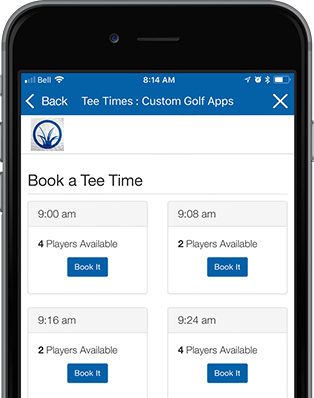 Your custom golf app integrates fully with your current tee time management system making booking a round of golf as easy as a few taps for your golfers. No need for on-cart GPS systems or expensive wearables. 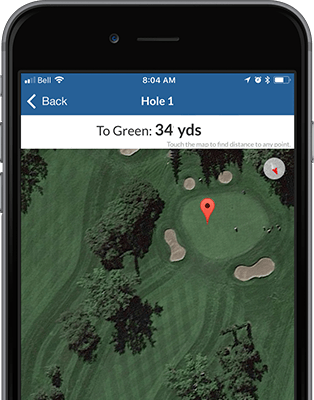 Give your golfers free and accurate Bird's Eye GPS on their phones. Won't drain the battery or eat up data - just reliable, interactive distance to the pin and other landmarks. Keep track of what counts. Driving, approach, and putting stats, penalties and sand saves, birdies, pars, and bogies... it's easy to keep track of everything that matters on the course. 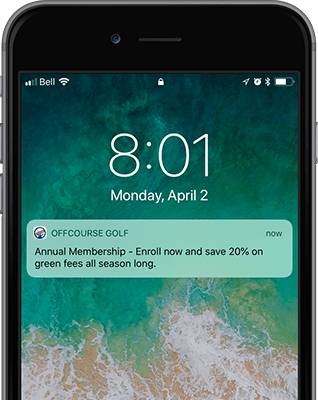 Promote food specials in the clubhouse or prompt on course spending with Geofence-triggered notifications. 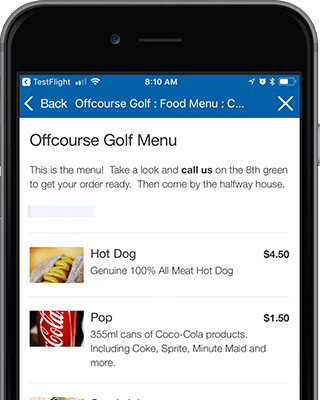 Speed up pace-of-play at the turn by selling snacks & drinks with your customizable menu.